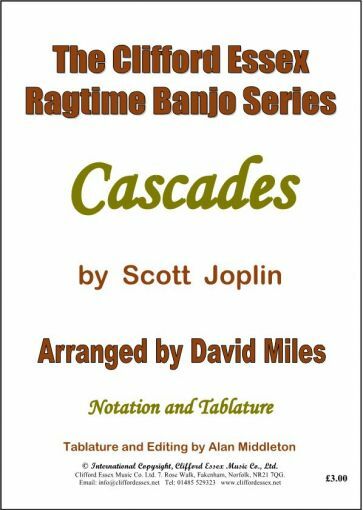 Location: /Sheet music/Fingerstyle Banjo/CASCADES BY SCOTT JOPLIN. ARR DAVID MILES M.B.E. 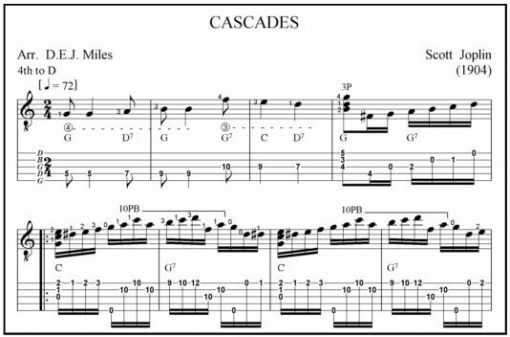 BMG : The oldest fretted instrument magazine in the world. Founded by Clifford Essex in 1903. BLACK AND WHITE RAG BY GEORGE BOTSFORD. ARR DAVID MILES M.B.E.